In Samsung Galaxy Ace 2 I8160 Display is connected the motherboard with a cable connector. If your LCD is not working, you obviously have to check if a faulty LCD is not causing this problem. If the LCD is okay then check the LCD connector. The very first thing that you should do is to check Display connector and check for any loose end if it is fine then check it with another good LCD screen. 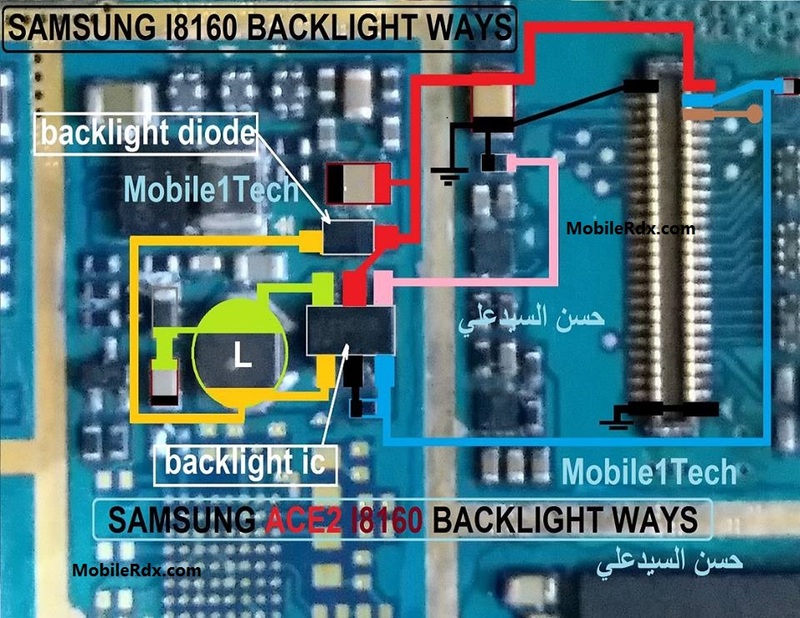 SamsungI8160 Display Ways, Jumper, Light Ways, No Light On Lcd Problem, Samsung Galaxy Ace 2 I8160 Lcd Track Ways, Light Solution. Light Ic Jumper, Backlight Problem Repair, Samsung I8160 Display Jumper.